Greenqloud hasn’t even launched its its renewable-powered cloud computing service yet, but it’s already receiving rock star-like attention in the cleantech world. Based in Iceland, Greenqloud is a startup that claims to be “the world’s first truly green public compute cloud.” It’s an IaaS (infrastructure as a service provider) that’s fully powered by two clean-energy sources found in abundance in Iceland: geothermal and hydro power. Founders Eirikur Hrafnsson and Tryggvi Larusson — the company’s CEO and CTO, respectively — plan to launch the beta version of their cloud service in the fourth quarter of this year. 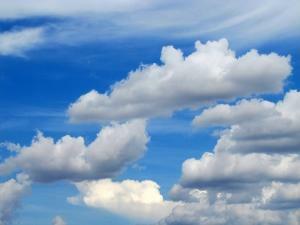 Even before it’s up and running, though, Greenqloud has garnered some significant laurels. It was named a second runner-up in the Massachusetts Institute of Technology’s 2010 global elevator pitch competition, selected as one of Iceland’s five hottest startups by the international SeedForum organisation and — just this week — picked as one of the 11 most promising cloud computing companies in GigaOM’s Structure 2010 LaunchPad competition. Hrafnsson notes that, outside of Greenqloud, there are no truly green cloud computing service providers today. While the world’s data giants — Google, Apple, Microsoft and Yahoo! — have successfully worked to make their existing servers highly energy efficient, those servers are still powered mostly by coal or nuclear power rather than green sources, he says. On average, he points out, less than 15 per cent of their power comes from renewables. “The Internet with cloud computing are becoming a big contributor to carbon emissions because of dirty energy usage,” Hrafnsson says. With users increasingly demanding green services — he points to the 400,000-plus Facebook account holders who recently petitioned the company to use more renewables — and cloud computing set to grow to a $150 billion market by 2013, Hrafnsson says he believes Greenqloud is well positioned to become Europe’s green cloud computing leader.